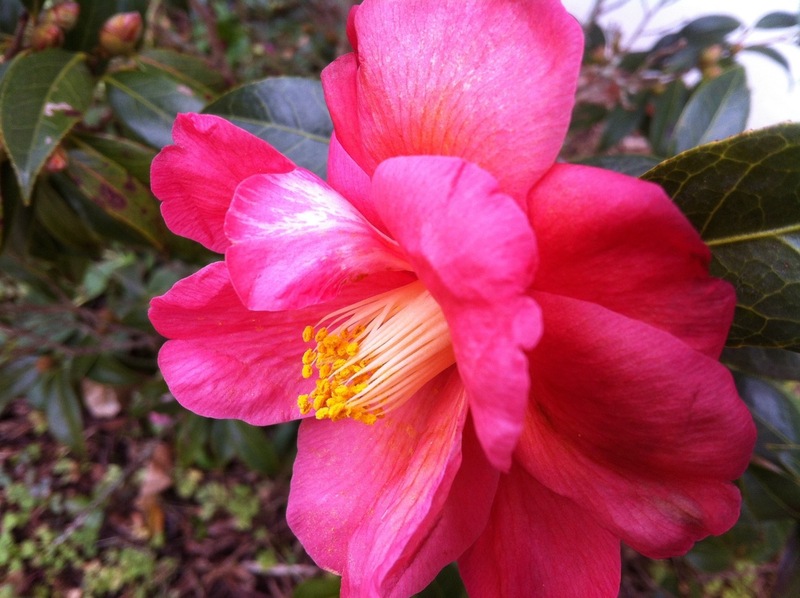 Your Camellia is beautiful, a sign that spring can’t be far away now! Is that a witch hazel in your first photo? It sounds as if you had a good day with your Darwin lecture and you have so many plans for the future organised – fantastic! Thanks Pauline. I should have double-checked the name of that shrub but I believe it is a winterberry (Ilex verticillata). There are lots of red ones in this garden but I hadn’t noticed a yellow one before. Sounds like a great plan. Hope that you are lucky. Thanks. There are so many springtime events scheduled that compete with much-needed time in the garden. It’s just as well February is a short month. If only the Spring months were longer! Oh, I’d like that too.My garden is decidedly at its peak in spring. It is refreshing to read about someone who is counting their blessings. I hope the weather stays kind for you. Thank you Brian. It is nice to have a few plans to look forward to. The temperatures have been springing wildly up, then down, so it will be interesting to see what does well this spring. Have a good day. Filling up the calendar is a sure way to hurry up the time passing. Have fun! It would be nice to have more events taking place during Feb and March though. By April there are so many opportunities. What a beautiful Camellia. A full schedule is the best way to get through winter. 😉 I will be glad when February is over… spring wants to come but now they are forecasting another cold spell here too. I like this camellia very much. February is bringing us another snow storm tonight. Hope your find fun things to do until spring can make it. Beautiful camellia! I’ve heard very good things about Pine Knot. Looking forward to visiting Pine Knot. I’ve heard the owners speak at our local garden club and am excited to see their place. You are lucky. I look forward to read your post about these places. Happy Valentine’s Day. Thanks and Happy Valentine’s to you also! I will certainly post about these events. Looking forward to them. 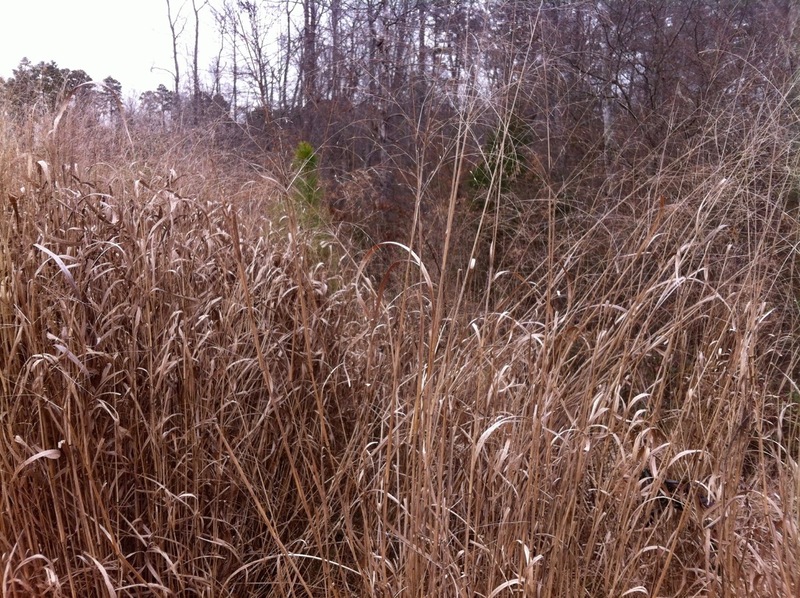 I do wish we had some nice talks and distractions here to make winter go by faster…no luck. it is -20F and several days of snow now….too cold in fact to be outside more than 10 minutes without risking frostbite. Wow Donna. -20F sounds ridiculously cold. We were at 15F last night and that’s way too cold for me. Snow is on the way tonight. Hope you can stay warm and busy until spring pulls us out of this. You have a cheery outlook. 🙂 It amazes me that Camellias bloom in such conditions! They are such amazing plants and the flowers are dreamy. Wish I could grow one here. I tried growing one in a pot, but failed. So I will appreciate them virtually through blogs like yours. 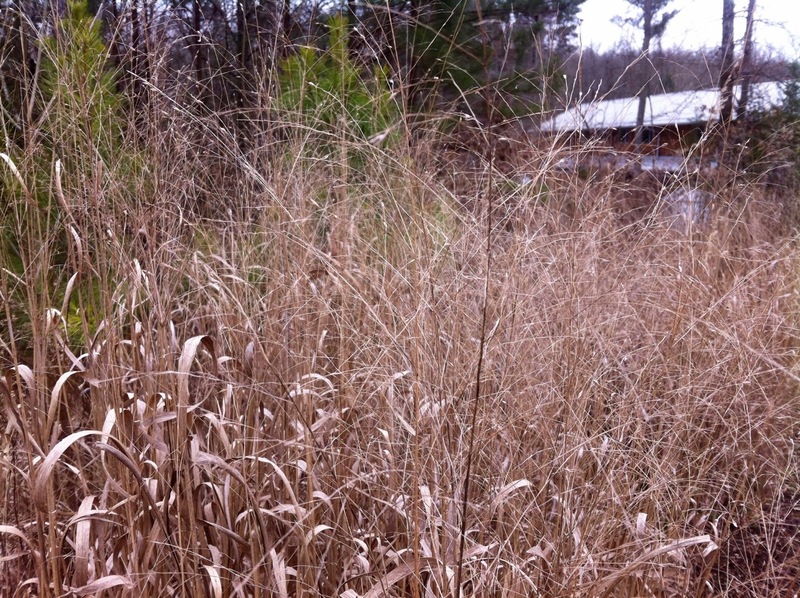 I also enjoy the beauty of light filtering through grasses. The big fat camellia buds remaining on the bush are biding their time. 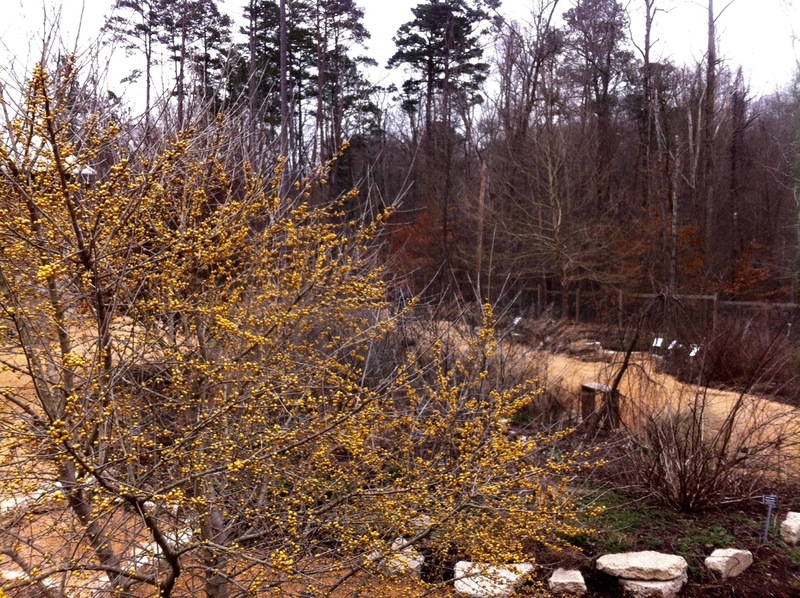 It’s been in the 50s the past two days after all that ice on Monday, so there may be a few more blooms soon. I don’t have much shade so haven’t added more camellias (that have survived anyway). They are so tempting. 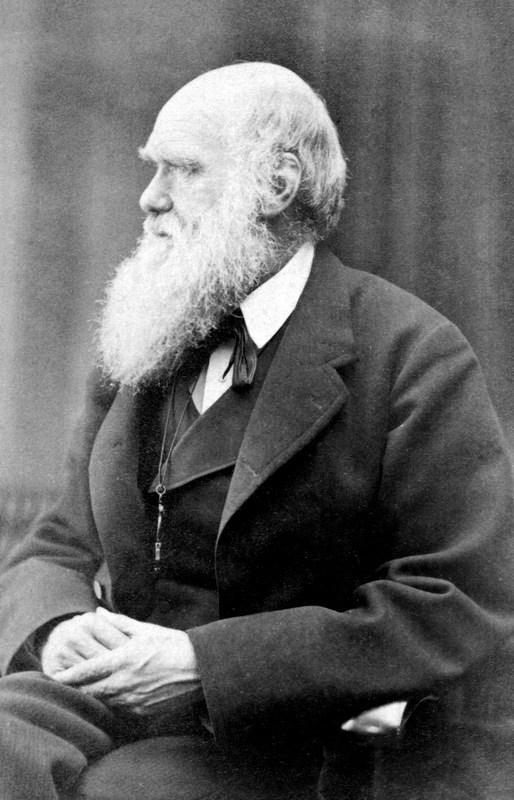 Darwin was such a clever guy, bet your talk was interesting. I’m reading ‘The 6th extinction’ right now which is a great book and helps me through winter. Lovely camellia, I was very happy with how my sasanqua performed this winter. My husband is a big Darwin fan so we’ve attended these lectures the past 4-5 years. I think this was the 12th anniversary of the talks. This one was not particularly exciting, but we must show support. Oh, I’m glad your sasanqua gave you pleasure Annette! Wonderful. The camellia is just as beautiful in the garden, glad you were able to spare a few for the vase, I just wish there were a few hardy enough to make it up here! Thanks. Camellias are ubiquitous around here, but I’m finding many are borderline hardy (zone 7b). The plant may survive but often the flowers are ruined. When they bloom thought they’re glorious.